You have a right to be safe in places that invite you on to their property, for example, when you shop, dine out, fill your car with gas, or take money out of the ATM. Unfortunately, some property owners neglect proper safety measures. Because of inadequate or negligent security, serious injuries, sometimes even death, occurs. 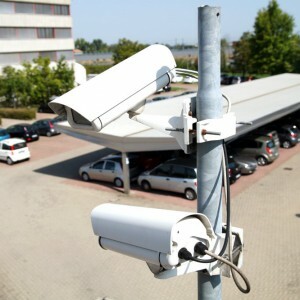 When negligent or inadequate security results in an injury or wrongful death, you may have a premises liability claim. Premises liability holds property owners legally responsible for accidents that occur on their property due to unsafe conditions. It is the responsibility of the business owner and manager to not only maintain the physical property — the lighting, walkways, stairs and more — but also to ensure visitors to the property are reasonably safe from being victimized while on the property. Negligent security occurs when the property owner has not taken the steps necessary to ensure a reasonable degree of protection from reasonably foreseeable and preventable criminal activity. We enlist expert testimony when needed to help establish whether the criminal conduct was foreseeable and preventable, helping you obtain compensation for things such as medical expenses, lost wages, loss of earning capacity, physical pain and suffering, mental suffering and any physical impairment. While cases involving inadequate or negligent security can be difficult to prove, the experienced Kansas City premises liability attorneys at Nash & Franciskato know what to look for and how to prove unsafe conditions. Contact us for a free, no-obligation case evaluation.